Rick Allen is stepping out from behind the kit and doing his bit for a good cause by opening a respite centre for children this weekend. 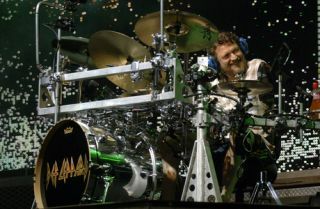 The Def Leppard drummer will unveil the Amy's House facility in the band's hometown of Sheffield on Saturday morning. Allen is patron of the centre, which is moving to a new base in the steel city. Rick told the Sheffield Telegraph: "As someone whose life has been touched by a family member with special needs, you understand just how important a facility of this nature is in the provision of invaluable support not only to the child but also those close to them."